Depression affects nearly 1 in 4 Canadians that will need professional help at some time in their life. There are many different types of depression and no experience is the same. From Seasonal Affective Disorder to Major Depressive Disorder to Bipolar Disorder and everything in between, depression is not something to be ashamed of and should not be ignored. There are a wide variety of symptoms in people that suffer from depression. Some people may lose interest in normal hobbies, activities and food, while others feel incredibly exhausted all the time or wake up very early in the morning. There’s no right or wrong symptom of depression. Everyone, from time to time, experiences grief or sadness. Depression is different. There is a change in the person and without help, the depression may last months or even years. Depression can be caused from a large range of factors. From genetic predisposition to an unhealthy environment to abnormal brain chemistry to a sudden loss, change or stress, there are endless reasons someone might suffer from sadness. It’s important to remember that you’re not alone and there are people who are here to help you. 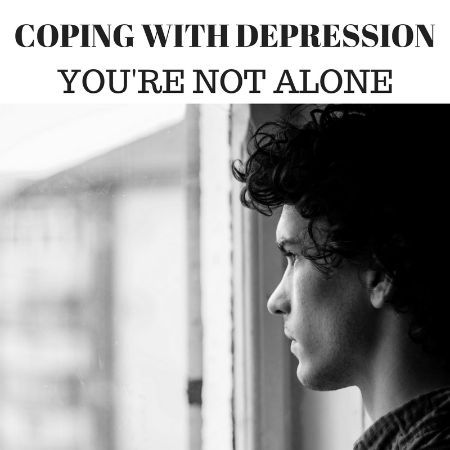 If the depression becomes too overwhelming for you to handle on your own, please seek help. There are many resources out there to help you through this. Getting help doesn’t mean you’re weak. Depression can be treated and you can feel better. Counselors are there to view the depressive state without judgment, and to seek out the cause or trigger of the depression. Often, simply identifying the source can enhance treatment outcomes and provide relief. Counseling can also help you to recognize your own strength, independence and adaptability to change. Seeking help is important if you’re suffering feelings of hopelessness and sadness. Or if someone you know is experiencing depression and you think they need professional help, speak to someone. They will thank you later. Contact me today for more information about depression. Or if you’d like to schedule an appointment, simply call me or click schedule today.